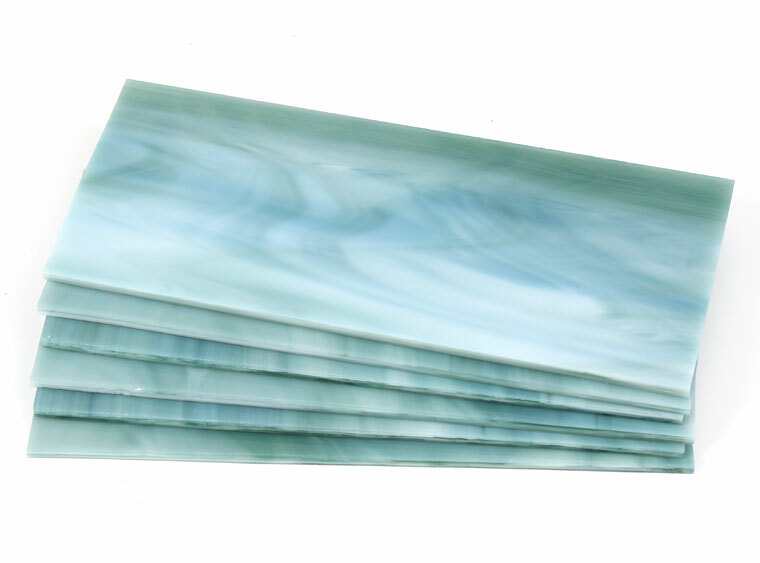 Get in touch with the ocean with this lovely Seafoam Green/White Glass Blocks! Get beachy with your next glass project and order some COE 96 Seafoam Green/White Glass! Glass Blocks are 2.5" x 6" pieces of sheet glass used for decorating. Use the whole block or cut up mosiac pieces to create designs. Qty: 6 pieces per pack.